beautyRUSHx3: TOP BEAUTY FAVES OF 2012!! 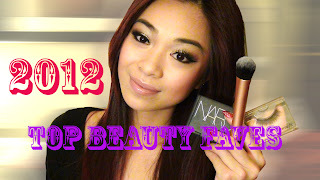 TOP BEAUTY FAVES OF 2012!! I cannot believe 2012 is already coming to an end!! I'm sure most of you can agree with me that each year just goes by quicker and quicker!! These are the other products I forgot to mention!! Thank you for all the love and support for the year of 2012! Let's make 2013 an awesome one! Fingers crossed I can continue to make more videos for you guys to enjoy!!! LOVE YOU ALL, HAPPY NEW YEAR!!!! Can you tell us what brand and color you dyed your hair? i love the red :) thx!